The Glue Sponge system is a new innovative way to glue without the mess! 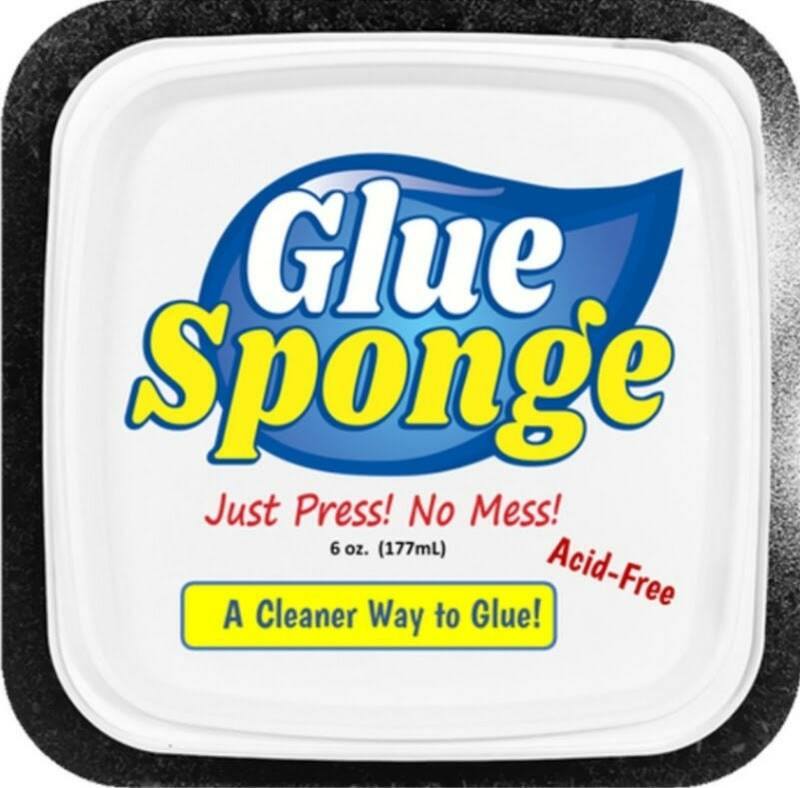 Our acid free glue sponge system is safe for all types of arts and craft projects. It provides an easy, neat and more efficient gluing application than traditional glue bottles, sticks or pens. Place the material that you want to apply glue on top of the sponge. Then, gently press the material onto the Glue Sponge. The sponge will evenly coat the back of the material in glue. As you lift the material, any excess glue will be absorbed back into the Glue Sponge. This will leave a nice thin layer of glue on your material. Plus, less glue is wasted from over gluing. Now just stick the glued material onto the desired spot on your project. Notice how clean the project looks when using the Glue Sponge system. Now You Have a Nice Project with No More Glue Mess! THE FIRST BATCH SOLD OUT SO THIS ITEM IS BACK TO PREORDER. THIS ITEM WILL SHIP ONCE IT IS RECEIVED.